Positive: Large screen; excellent display; good connectivity; powerful hardware. Negative: Heavy. Positive: Powerful processor; high performance; good cooling system; nice ergonomy. Negative: Poor display; noisy under loads. 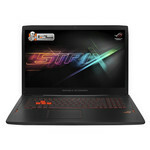 Model: The Asus Rog Strix Scar Edition GL703GM-E5016 is a gaming laptop with advanced hardware. It includes a powerful Intel Core i7 six-core microprocessor and an Nvidia Geforce GTX 1060 graphics processor. The chassis is divided in two by an oblique line that has, on its right, the logo of the ROG series backlit in red, while in the lower part of the housing there is the phrase "Republic of Gamers" engraved. All the surfaces of this model are made of plastic and show some weakness in localized pressure. Although it yields slightly to the localized pressure, it adequately protects the screen in it. 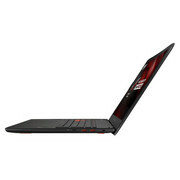 Its firm hinge system allows users to open the laptop with one hand, keeping the screen in the selected position in any situation, although the opening angle is not too wide (135 º). Featuring a powerful Intel Core i7-8750H six-core processor at 2.2 GHz, this model will allow users to perform all kinds of advanced functions (photo retouching, video editing, CAD design, etc.) at most demanding levels. Thanks to Turbo Boost technology, this microprocessor can increase its speed to a maximum of 4.1 GHz. 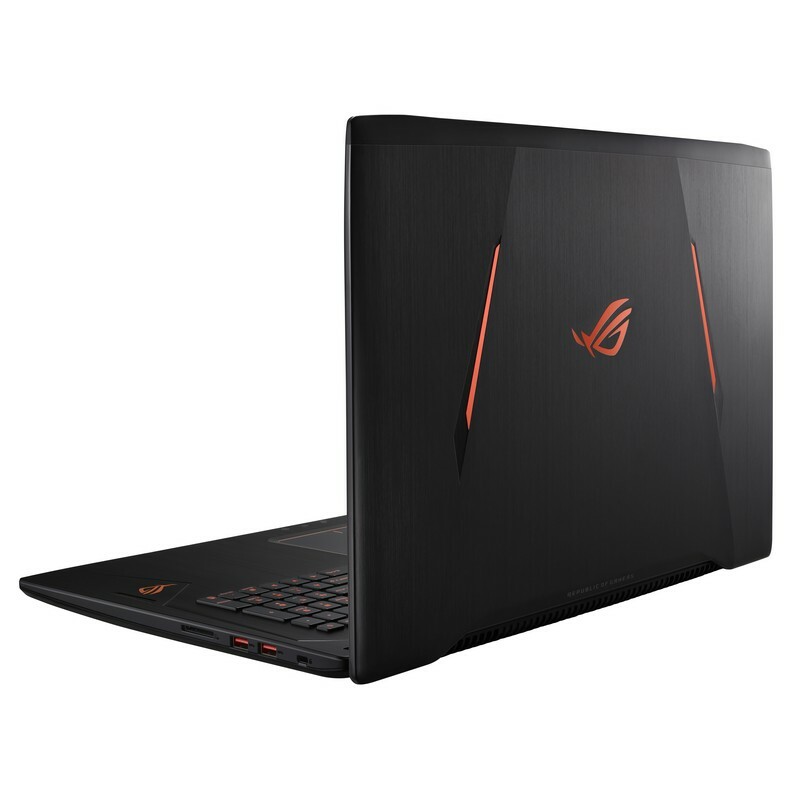 It has 16 GB of DDR4 RAM at 2.666 MHz, an M.2 SSD of 256 GB compatible with NVME and a hard drive of 1 TB at 5,400 RPM. With 6 GB of dedicated GDDR5 VRAM, the powerful Nvidia Geforce GTX 1060 allows enjoying virtually any current game with high details and Full HD resolution, and even 4k in undemanding titles. 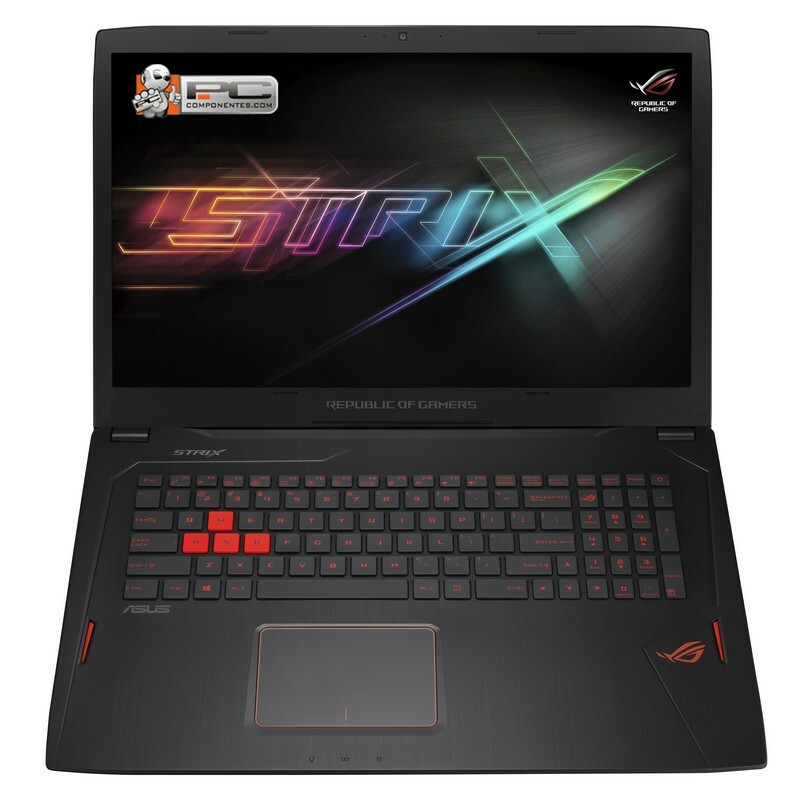 Its keyboard features an RGB backlight configurable in 4 differentiated zones and 4 independent buttons to raise, lower and mute volume, as well as access the ROG Gaming Center application. With a refresh rate of 144 Hz, its 17.3 "Full-HD (1920x1080) IPS panel with LED backlighting is most likely the main attraction of this model, because it provides a more fluid reproduction than screens of 120 Hz. It is normally used by models for more advanced games from other manufacturers. The very short response time translates into a great advantage in games. Although its matt finish allows the use of the screen outdoors, its level of brightness limits this possibility to areas of shade or cloudy days. It has great networking capabilities being compatible with Gigabit Ethernet, Wi-Fi AC, and Bluetooth version 4.1. In addition to a Kensington lock, there is two USB 3.1 (Gen1) type A ports , one USB 3.1 (Gen2) type C port and the SD / MMC card reader on the right side, while on the left there are two additional USB 3.1 (Gen1) type A ports, HDMI 2.0 and mini DisplayPort outputs, the power connector, the RJ45 (Ethernet,) port, and the combined headphone and microphone port.